Jesska Denise: Review : Rimmel Volume Flash, Scandal Eyes Mascara. 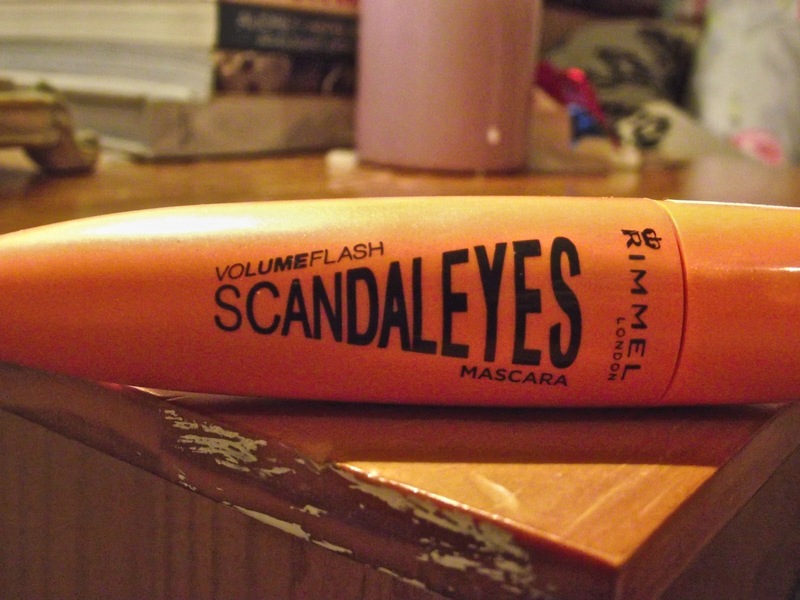 Review : Rimmel Volume Flash, Scandal Eyes Mascara. I was in my local Boots about 3 weeks ago when i saw that this mascara was down from 9€ to 5€ and not one to pass up a bargain I bought it. My previous Rimmel Mascara was practically finished so I thought 'may as well as its only a fiver'. "Rimmel Volume Flash Scandal Eyes Mascare - who thought a big brush could volumize and define like this? Scandalous Brush: So big yet so precise, Rimmel's MaxDensity™ brush reveals lashes you never thought you had. 30% wider and denser, with more bristles to capture and coat even the smallest lashes. Combs through clumps for perfect definition." Yes the brush is quite big but i found this awkward when applying to my lashes. The wand isn't long enough to support it and I ended up rubbing some of the mascara from it onto the side of my face when trying to reach my smaller lashes, which isn't great when you're trying to get ready for a night out. I also found it very clumpy to apply regardless of Rimmel saying "Combs through clumps for perfect definition". 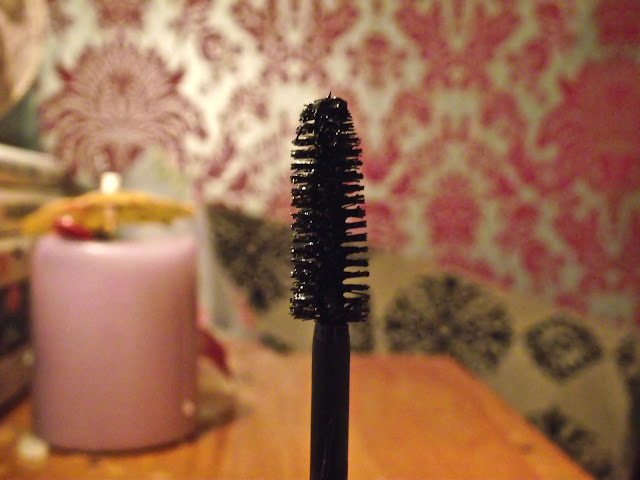 Once or twice a big lump of mascara came out of the tube along with the wand and only for quick movement on my behalf would have ended up all over my floor. I liked how black it came out on my lashes but this was after applying it a few times. I think this won't be the mascara for you if you're constantly in a hurry but if you have a minute or 4 to spare to achieve the 'defined' and 'volumised' lashes it claims to create then by all means run out and purchase this. But it's not something i'll repurchase. 10/10 for the outer packaging. I'm a sucker for anything orange. But 4/10 for over all product. Majorly disappointed as i'm a huge fan of Rimmel Mascara's. I also thought that it might be good to run through a lash separating mascara beforehand? Just a thought! nice blog and I'm now following! Do check out my blog, hope you like!